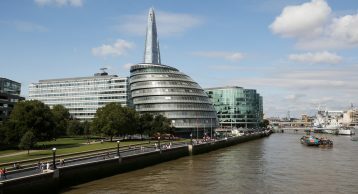 City Hall is part of the More London Development located between world famous London Bridge and Tower Bridge on the south bank of the river Thames. It was designed by Foster & Partners and stands as an iconic building in the London skyline. 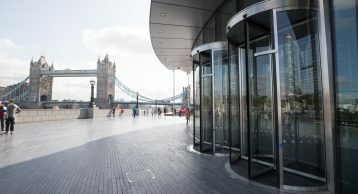 Read this case study on how our Entrance Matting is playing a crucial role in preventing the ingress of dirt and moisture and maintaining the appearance of the reception. The building was designed from the ground up to be as sustainable as possible. In 2014/15 City Hall emitted 1,985 tonnes of carbon dioxide which is much better than most of the other building of this size. The unusual shape is not only visually striking but serves an important purpose – controlling the heat that comes from exposure to sunlight. Being close to river Thames means it uses cold ground water to cool the building, which is very energy efficient. 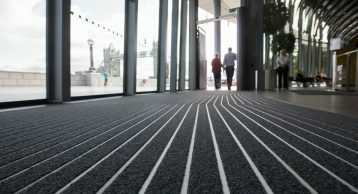 We are firm believers in using entrance matting to help buildings be as sustainable as possible. 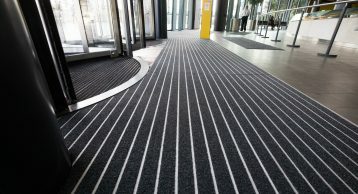 Entrance Matting is designed to remove and retain as much dirt as possible and prevent its ingress into the building thereby reducing the cleaning and maintenance costs. This we believe reduce some of the energy consumption needed to power heavy duty cleaning equipment. From a financial perspective, cleaning costs are also reduced as these are estimated to be between £600-£1000 per kg of soil removed. By removing this dirt the internal floor are protected from scratches and last a longer time. By installing our most popular INTRAform Double Module Entrance Matting we also helped the building maintain the safety throughout. Did you know that 90% of slips and trips occur on wet or contaminated floors? 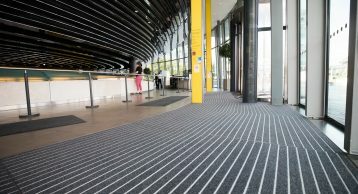 Effective Entrance Matting which significantly reduces the ingress of soil and moisture ensures safe access for every visitor, and when combined with INTRAlux Elite fibre a highly effective solution is formed. Maintaining also the internal aesthetics of the building was imperative for the City Hall as first impressions last. Having a clean and aesthetically pleasing reception means clients are retained. 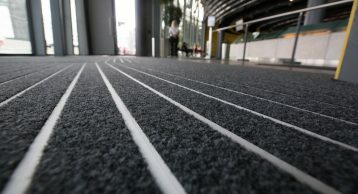 We used the grey 606 elite fibre to enhance the reception and made sure the Entrance Mat blended into the surroundings. Working with architects and interior designers, INTRAmatting has created bespoke solutions that truly befit the building design, making the entrance distinctive and even iconic. Contact Us today on 01425 472000 and get creative with your entrance.